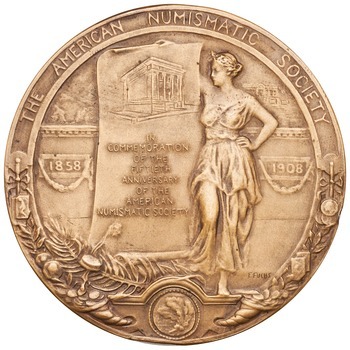 The ANS is proud to now offer a new and much anticipated publication for sale, Medallic Art of the American Numismatic Society, 1865-2014, Studies in Medallic Art 2. 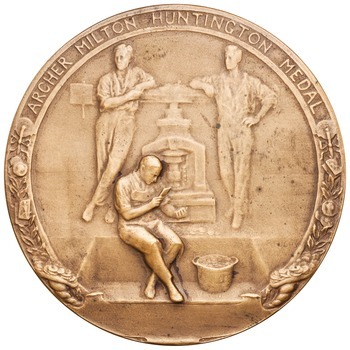 The hardcover book, by Scott H. Miller, includes 60 medals issued by the ANS, two COAC medals and the 1910 Actors’ Fund Medal, all accompanied by color photographs. John Adams’ research in the field of numismatics focuses on American and European medals, numismatic literature, and large cents. In his early research, his approach is largely bibliographical. His Monographs on Varieties of United States Large Cents, 1793–1794, published in 1976, provided a concise introduction to the various key publications in this field. His two volumes of United States Numismatic Literature (1982, 1990) are among the most useful bibliographical aids on American numismatic auction catalogues available; in particular Adams’ erudite introductions to the various collectors are widely quoted. In the last 15 years, Adams has focused primarily on medals, both European and American. His book The Indian Peace Medals of George III, or, His Majesty’s Sometime Allies, published in 1999, demonstrates his breadth of knowledge; through careful numismatic analysis Adams was able to expand our knowledge in this series. His approach to medals is largely historical, and his subsequent work on The Medals Concerning John Law and the Mississippi System has become a standard work on the peculiar medals satirizing this famous financial crisis of the early 18th century. In this book Adams illustrates his command of historical, financial and numismatic matters. Together with Anne Bentley, Adams wrote Comitia Americana and Related Medals: Underappreciated Monuments to Our Heritage (2007). 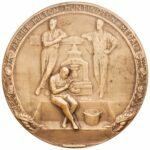 In this exhaustive analysis, Adams and Bentley re-­‐wrote our understanding of this important early American series of medals. It is now the definitive historical and numismatic study on the subject. Again, in 2010 Adams wrote the consummate book Medallic Portraits of Admiral Vernon: Medals Sometimes Lie with Fernando Chao and in collaboration with Anne Bentley. This work provides a study of the many varieties of the Vernon series, which often differ only in tiny details, provides historical context, offering a concordance with the many prior studies and much more. While there is an impressive corpus of books by Adams, he also is a frequent contributor to conference proceedings, journals and other publications. He has published articles about coin sales, individual medals, numismatic personalities, and hoards, to name just a few. His long involvement as editor of The MCA Advisory has turned this publication into a popular, well-­‐ informed publication. OCRE – Online Database of Coinage of the Roman Empire becomes Bigger, Multi-­‐Contributor and Multi-­‐Lingual. In collaboration with NYU’s Institute for the Study of the Ancient World, the ANS is pleased to announce the release of a new version of OCRE.